The future is looking bright for the Australian arm of AdRoll, its regional VP claims, with new partnerships and products on the agenda. 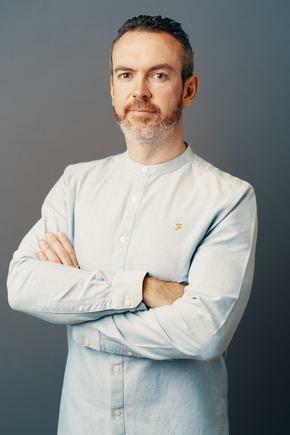 Nearly a year on from a restructure, which saw most Australian AdRoll staff moved on, AdRoll vice-president EMEA and APAC, Marius Smyth, told CMO the digital marketing tech provider has started to see ‘green shoots’ around stabilising and refocussing the business. The ambition is to reposition AdRoll from being a retargeting player to offering more opportunities for clients around data and measurement. “We checked in with customers, mainly SMBs, to see where the market was. Six months on, we’ve managed to stabilise and refocus the business, and we’re starting to see some green shoots around acquiring new customers as well," Smyth said. “Our aim has been to really focus on the big convergence between adtech and martech that customers struggle with. They tend to gravitate towards the bigger players to try to make sense of what they should be doing in terms of marketing and advertising and how they link together. It was therefore a natural progression to move AdRoll from being a retargeting player to offering more opportunities for measurement and to get better data, and thinking about new products customers may want in the future to be able to covert new customers or help the customer journey, Smyth continued. Partnerships are also on the agenda for AdRoll, with ecommerce players including Shopify, which already has large customer bases. The pair partnered in September to help attract, convert and grow audiences for the Shopify store. “As the convergence between adtech and martech continues, companies are going to be looking for guidance in that area. They have all the customer information, they just want to use it more effectively, look for actionable insights for the journey their customers are on, intelligence around measurements, and getting better returns,” Smyth said. “Also, they need better strategies and programs to activate new customers and keep loyal customers. That’s where everything is heading. So we will build products that help action that data and better use that data, organise data, get insights from data, so companies will be best placed for the future. Smyth confirmed AdRoll now has nine people in the Australian office after consolidating the business, and is looking for more support headcount. “There were a lot of people rightly concerned around what our next move would be in terms of the office and the region. But we’ve managed to get it to a really good place and the future looks very bright here,” Smyth concluded.